Every client that approaches us gets an honest evaluation of their current branding and marketing strategies. Working with Dr. Kayal and the Kayal Orthopaedic Center was no different. He showed us his original logo, which utilized two colors—red and black. At KickCharge® Creative, we felt that those two colors did not have a positive connotation—one needed for a medical facility of this caliber. 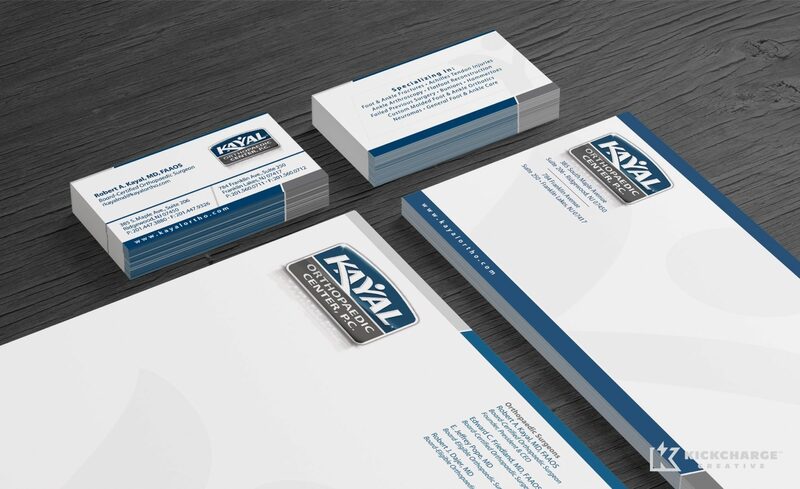 Our team at KickCharge Creative started with the Kayal Orthopaedic Center’s existing logo and built a more modern, clean and sophisticated brand. Once the new logo was created, the other components began to fall into place. 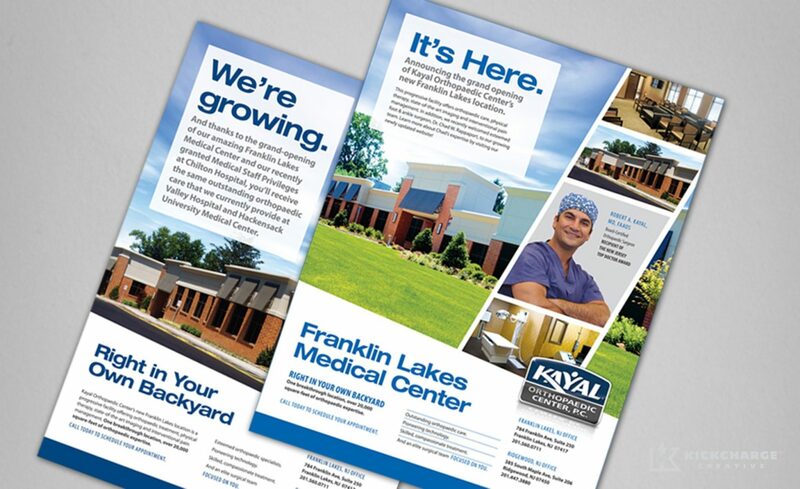 After tackling the Kayal Orthopaedic Center’s stationery and website, we built a consistent design structure for all of Dr. Kayal’s print advertising. 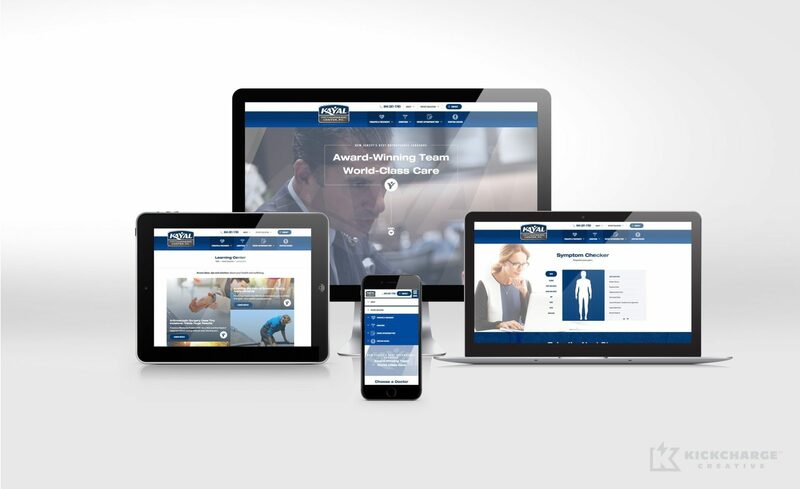 In addition to the stationery, website and print advertising, we implemented best search engine optimization practices that have since placed the Kayal Orthopaedic websites at the top of the search engines for numerous search terms. 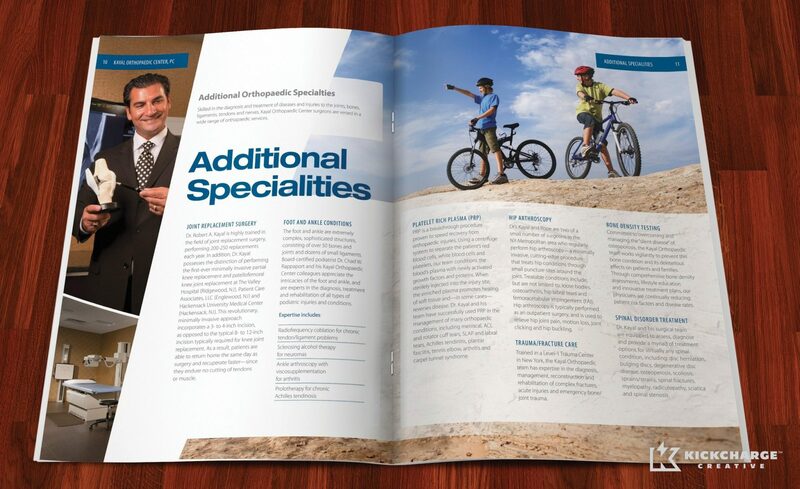 With a professional branding overhaul, Kayal Orthopaedic Center saw a record amount of success within a short period of time. The number of unique visits to their website increased by 123% within just 3 years. In that same time period, we increased the number of unique visits to the contact form page by over 1,323% through digital strategies and tactics. 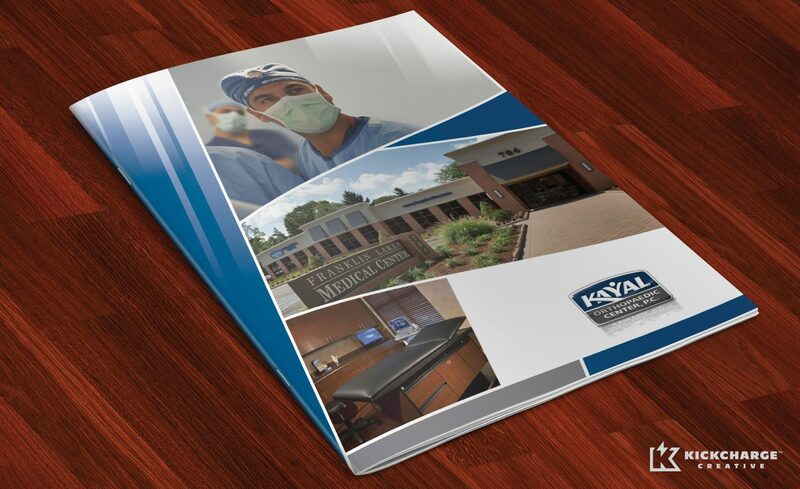 In addition, we generated a reach of over 2.57 million users within the first 5 months of the Kayal Orthopaedic Center’s social media campaign and increased Facebook page likes from 2,000 to over 15,400 in just 10 months. “I could not be more pleased with the professionalism and expertise of Dan Antonelli and his entire staff at KickCharge Creative. 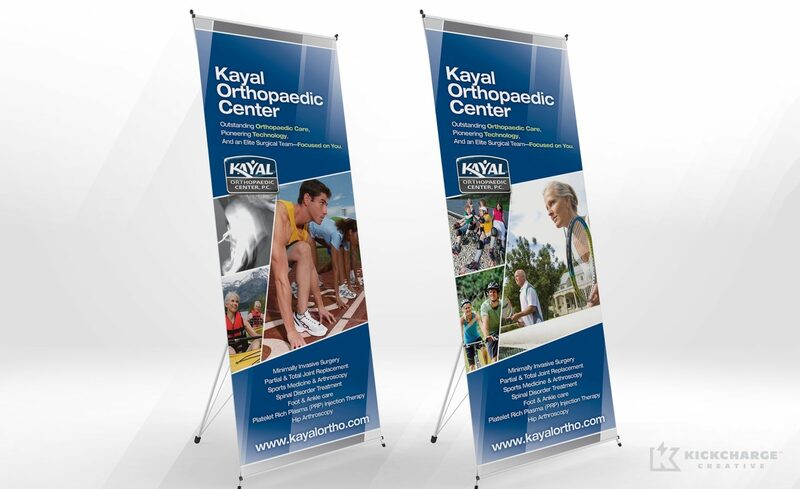 Words cannot express how grateful I am for the way they completely rebranded Kayal Orthopaedic Center. When I first contacted KickCharge Creative, I had one goal in mind—to rebrand my practice. All I can say is MISSION ACCOMPLISHED! Not only do I just love the new look, so do my patients and staff,” said Dr. Robert A. Kayal, MD, Founder, President and CEO of Kayal Orthopaedic Center.